The two gentlemen arrived as booked and were polite and efficient. They were also very helpful in taking away other items e.G an Armchair and wrought iron gate. I would recommend this firm. Thank you. Very helpful, quick, got the job done. Excellent service. Reliable, reasonable rates and polite fellas. Excellent work much better value than skips. I would recommend this company. Very good. Very polite. Took shoes of in house! Excellent. Very courteous and quick, I was in fact shocked at how fast one man could clear up so much rubbish and leave the area so tidy afterwards! Excellent service and very reasonable price. Very happy and would definitely use again and recommend. Very good, clean and tidy. 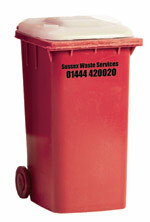 Top service this is the 3rd time I have used Sussex Waste Services Ltd. I would recommend this company. Sussex Waste Services has become a people-friendly environmental services leader in all facets of waste management and resource recovery. We have over 15 years industry experience in implementing effective, innovative and sustainable Waste Management and Industrial Services solutions. We are 100% focused on satisfying the community’s essential daily needs in order to improve the living environment. We are extremely adaptable, so whether your need’s at home, work or garden, we’ll clear any type of waste - hsowever big or small, from anywhere on your premises and then dispose of it for you responsibly and professionally, reusing or recycling as much as possible. Everyone agreed that this was an extremely worthwhile process to undertake and some said “the best decision ever” as it gives so much more peace of mind to our ever increasing customer base. Furthermore they’re trained and equipped to handle a variety of waste disposal processes. We only use licensed waste management and recycling facilities and wherever possible we reuse too. With a range of integrated services we work hard to maximise recycling – and the recovery of energy from business waste, diverting as much as possible away from landfill. Sussex Waste Services are fully licensed by the Environment Agency to professionally dispose of waste in accordance with current environmental legislation. We’re also active members of Checkatrade who: “ offer a directory of trades and services who have been vetted to our high standards, for example by verifying their insurance, qualifications and professional memberships. Not only that, but we also monitor their work on an ongoing basis by collecting feedback directly from their customers.” Our average score is a stunning 9.9 and although we’re incredibly proud of this high achievement we can assure you that we’re always looking for ways in which we can continually improve our levels of service. Click here to view our Checkatrade page. We've been vetted and approved by the Trading Standards division of West Sussex County Council as part of their Buy With Confidence scheme. That means they've ensured that we operate in a legal, honest and fair way. Click here to view our entry on the BWC register. 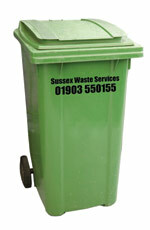 Here at Sussex Waste Services we are extremely environmentally conscious, in fact we constantly push ourselves to strive to do a little more and pride ourselves in being as eco-friendly as possible. We only work with carefully selected companies within Sussex who specialise in recycling, making our landscape greener and cleaner for everyone. We constantly monitor the fleet efficiency and continue to track emerging technology to ensure we are always pursuing the minimum impact on the environment.